Download the app now and start understanding your income. 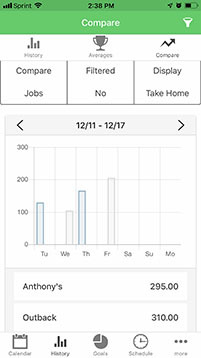 Quickly see what day's you've entered and their daily totals along with the average hourly earnings. 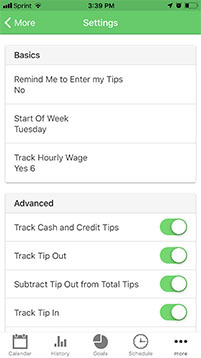 From here you can add a Tip, Paycheck or Day Off. Your data is always safe and available. It is always saved to the cloud and never to your device. This enables your data to be on all of your devices. Buy a new phone or use your tablet, download ServerLife and login - your data will be there. You'll no longer have to worry about when you last backed up your data. 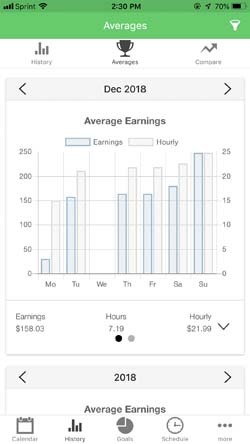 Being able to see your Tips is great and seeing them displayed so clearly in beautiful charts is amazing. 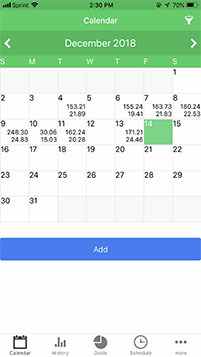 See your Weekly, Bi-Weekly, Semi-Monthly, Monthly and Yearly totals for all data stored in the app. Never before has it been so easy to see what an average day for you is. 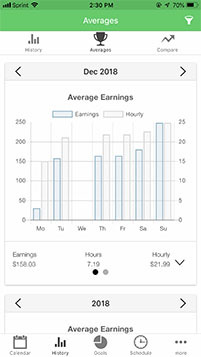 See your daily averages for all data stored in the app. 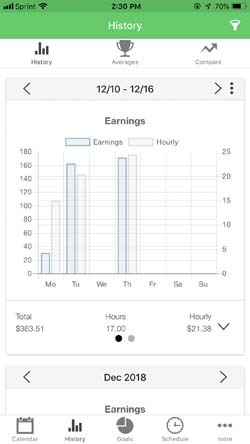 Want to know if you make more as a Server or Bartender or if the opening or closing shift is better? Compare your Jobs, Positions, Shifts or Sections. Are you still relying on the picture you took of it when it came out? 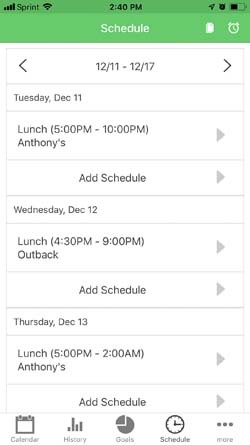 Add your schedule and be reminded when to leave. Studies have shown that when you set a goal for yourself you are more likely to progress faster towards that goal. You can set daily, weekly, and monthly goals with any of the 17 fields the app calculates. Pay someone for childcare, eat dinner at work, or want to track the gas you use for driving? 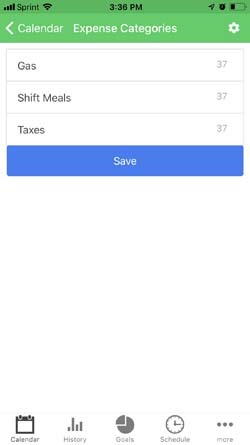 You can even track your deductions on your Paycheck like Taxes. Track any number of custom categories you create to see what you're really making. Have more questions or need help with something. 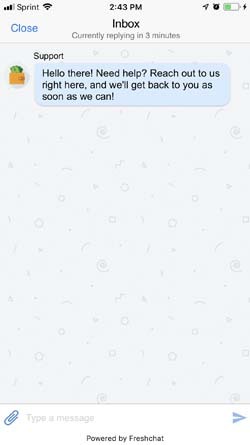 Open a chat with me. This is not a bot and I generally respond quickly. 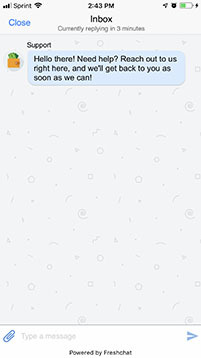 Want to talk to me now, hit that chat icon in the bottom right of the screen. Import your TipSee and Just the Tips data! This app is amazing. Perfect for tracking and recording tips as a server. Lots of graphs and charts to help you see your overall trends. You can also import your tip$ee data! How cool is that? No flaws, runs smoothly, what more could you ask for? This is the app to get if you're a server. Detailed enough to track your tips and be able to see in-depth analysis but easy enough to use the first time you use it. Looking forward to seeing what this developer has up their sleeve for the next new thing. Great job! As a bartender this is a great app and a must have app! 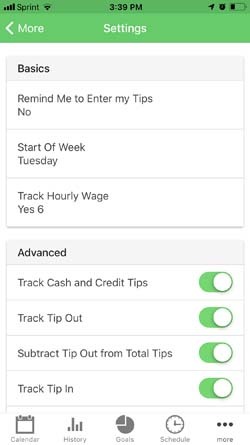 Starting on the Tips page you see the large calendar where you'll see your Tips and Hourly Wage totals for that day. Here can add multiple tips per day. You can filter your Jobs, Positions, Sections and Shifts and see important insights. Moving on to the History screen you'll be able to see your totals for the current week, month and year. 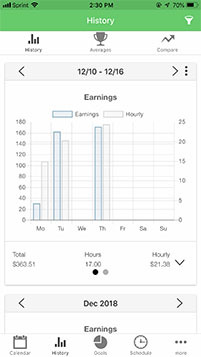 If you've enabled the advanced fields, Sales Total, Covers or Mileage you'll see charts for each of these. You can change the time frame you're viewing by clicking left or right arrows or the date range. You can filter this data the same way on all screens. Next we move on to the Insights screen where you can view the Daily Average amounts for the current Month and Year. You can change the time frame in the same way as on the History screen. You can filter this data the same way on all screens. 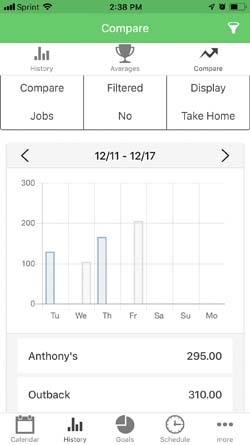 If you're tracking multiple Jobs, Positions, Shifts or Sections you can compare any number the app tracks here on the Compare screen. Just click the 3 buttons on the top to configure what you want to compare. All additional fields are optional. On the settings page you can turn on and off all of the features. 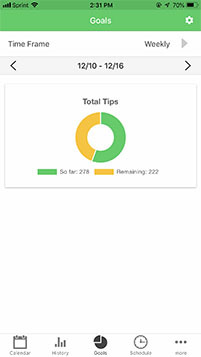 Finally if you've used the TipSee app and you'd like to import your data you can here.